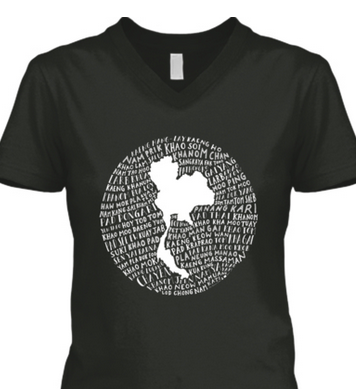 I’m proud to share typographic map #2 in my series of designs, this time for Thailand. As I’ve said prior, I will be building an online store with a total of ten countries of delicious food. But my second country, as voted by readers, was Thailand. As with the prior shirt, this is a collaboration with Ella Sanders, where I provided her with the names of the foods and she drew me a lovely map in the style of the first Vietnam project. We will be making all 10 maps in the same style, with Ella’s signature hand-drawn typography and a focus on trying to put the food names around the geographic place of their origin. I would also like to thank the always-hungry Mark Wiens for his contributions in proofing the spelling after translation. Ladies t-shirt. Men’s and crew necks also available. Men’s and women’s t-shirts available from my t-shirt page here. I’m excited to add to this site with a creative outlet that marries the things I love. 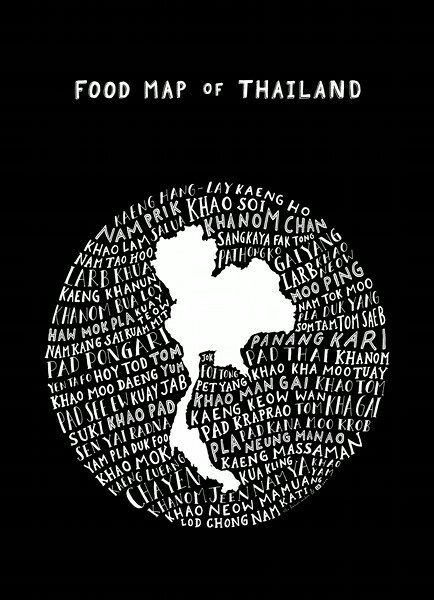 In this case, food, typography, and maps. As with the Saigon food walks I started, this project is directly born out of the interest readers have shown in the site, and in thinking of creative ways to build on the work I already do. I’m also happy to support an independent and talented artist like Ella, and am thrilled to have her on board for this full project. 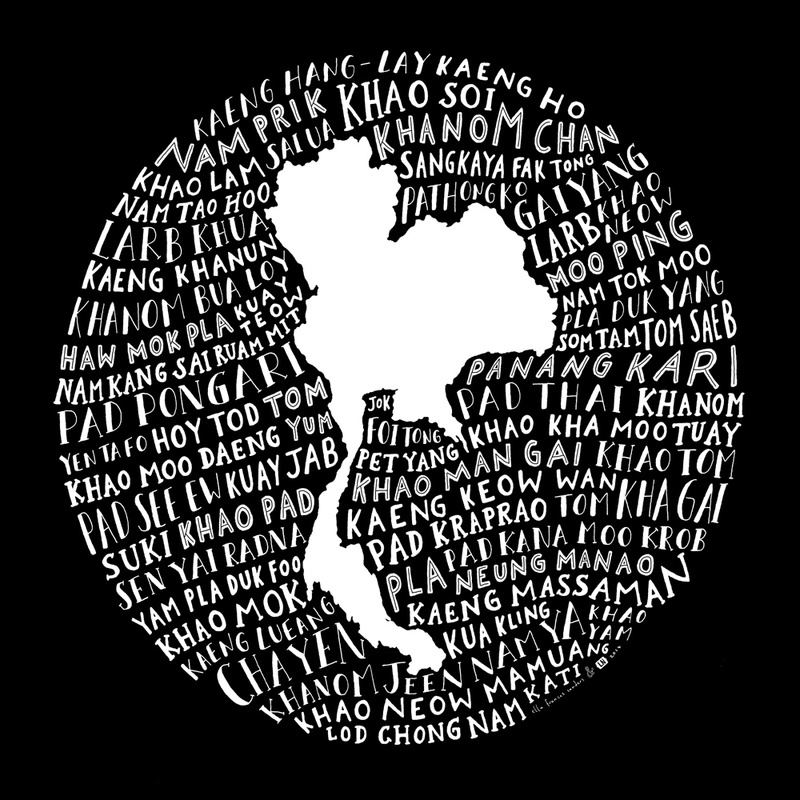 Thank you to those who supported the Vietnam maps, and I hope you like the Thailand one too! Now the important question: What country should we build next? I will be using this boat ride to catch up on posts here, from Greece and Berlin and time the UK, as well as pre-trip reading for Japan. This is really cool. You should definitely do France, one of my favourite food places. Hope all is well, and good luck with that sailing-project – sounds exciting! Hey Isa, I’ll be there at the end of Sept – mid-October, just for a short time. But I’m very excited as it’s my first time there as well. Yay! Miam! It’s 10am here but your first picture definitely makes me hungry!! Hello Jodi,Been an ardent reader of your blog posts.Since you’ve been to India,it’d be quite a treat to see you come up with a food map.And judging the culinary diversity of the country,it’d be some effort.Look forward to it.Cheers and thank you. I second the France t-shirt request! So many amazing foods, desserts and CHEESE to write out with that beautiful typography. Mexico, Mexico, Mexico! The fact that you started your awesome book with a Mexico City scene involving tacos al pastor has to be an omen. What a cool idea! 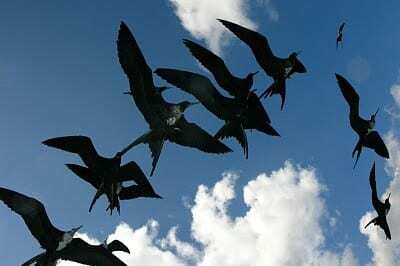 I am currently travelling in South America and there are so many amazing foods that would be great for this project. It would be great to see it in different languages accordingly, eg food written in Spanish for Argentina. Wow! What a great idea. 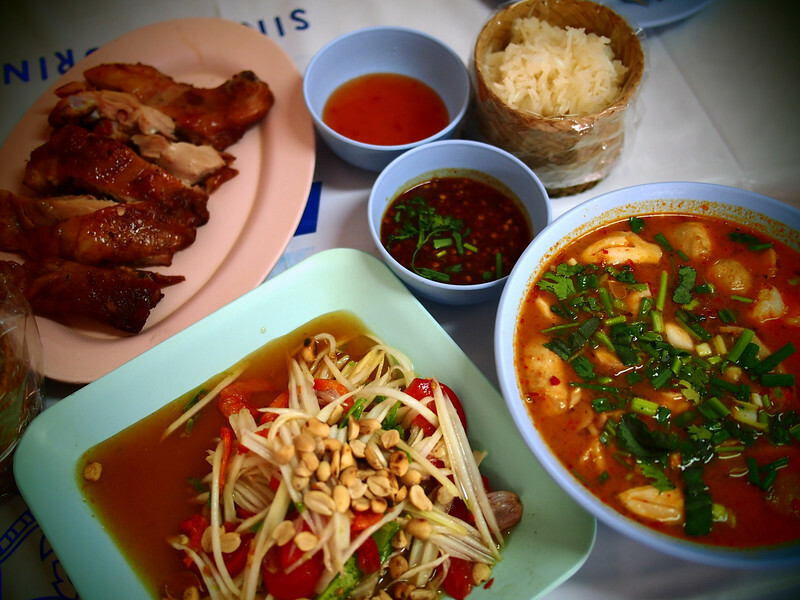 Living in Chiang Mai, we get to eat amazing food everyday and highly recommend it to everyone. Glad you enjoy my country! I am SO looking forward to this. 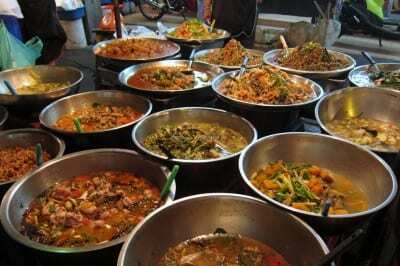 I’ve just finished travelling Thailand, and I don’t think I will be able to eat anything other than Thai food again – it truly is the best thing ever! Cool project. And inspiring. I am now thinking about Thai food for lunch.